The HARP program is as much about protecting surrounding neighborhoods from blight as it is about completing stalled projects. Last year’s bursting real estate bubble left the five boroughs littered with vacant and half-built projects, many of them market-rate units few can now afford. But city officials are hoping to rescue some of those stalled projects, create much needed affordable housing in the process, and begin to steady the real estate market as a result. Wednesday, the City Council and Bloomberg administration announced a $20 million program known as HARP—as in Housing Asset Renewal Program—that would subsidize the conversion of upwards of 400 stalled market-rate units into affordable ones. By thawing frozen projects, the hope is to free up financing to finish construction on those that are not yet built and to fully occupy those that are. (The imprimatur of the city should help with financing, as well.) Meanwhile, the city will help stabilize these buildings and their surrounding neighborhoods, thus avoiding the blight that plagued the city during the decline of the 1970s and 1980s. With 138 stalled projects confirmed by the Department of Buildings, and countless more unaccounted for, there are plenty of projects in need of support. City officials expect only some units of buildings entering HARP will be converted to affordable units--just enough to get them back on track. The program is the result of a council taskforce on affordable housing launched in 2008, though many of its ideas crashed along with the housing market. Instead, the taskforce began outlining HARP, which speaker Christine Quinn introduced in February during her State of the City address. The council then turned to the city’s Department of Housing Preservation and Development to implement the details and administer the program, which is still in the pilot phase. The cost is also shared between the council and the city through the reallocation of existing capital funds. The city will issue a request for funding applicants—a sort of RFP with a rolling deadline—in July that is expected to run through December. Applicants will be judged on three criteria: those who offer the deepest discounts, require the least amount of subsidy, and provide the most “stabilization” to the neighborhood. For instance, a single building in need of subsidy in a ten block radius would be more likely targeted than 15 buildings in need within a five block radius, according to Andrew Doba, a council spokesperson. While details of the plan are still being worked out, the expectation is that most of the money will be spent in the outer boroughs, where the greatest speculation and destabilization took place, and also where the city can stretch its money the furthest. For each unit of a project pledged as an affordable rental unit, applicants will receive $50,000 an amount officials emphasize is about a third to a half as expensive as the typical rate paid for new affordable units. Both unfinished and finished-but-empty projects are eligible for the program, though the expectation is that only a portion of a project’s total units would be converted from market-rate to affordable. 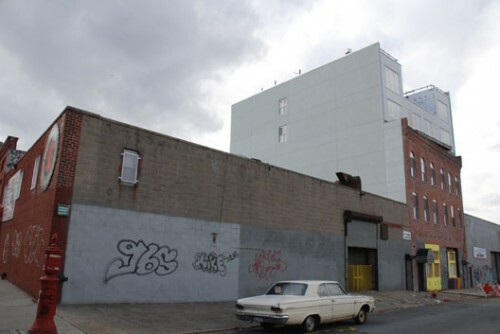 Vacant yet completed projects, such as 66 North 1st Street in Williamsburg, are also eligible for the program, and could account for a sizable portion of the funds as they can be more readily occupied. Marshall said the department expects to get many of its applications from banks that have foreclosed on projects and want to get rid of them as quickly as possible. When money will begin to flow out remains to be seen, but it could be as soon as the department begins getting applications back. “We could start working on projects, depending on what comes in and how clean it is, by the Fall,” Marshall said. If the pilot phase goes well, the city will consider expanding it or even making it a permanent housing program. Developers large and small, not-for-profit and high-end are already hailing the project. “I see a plus-plus for the city of New York, both for the people in the neighborhoods, who won’t have to look at these half-built buildings anymore, and the affordable housing users who will have shelter,” said Vincent Riso, a principal at the Briarwood Organization, which has been developing affordable housing since the 1980s. 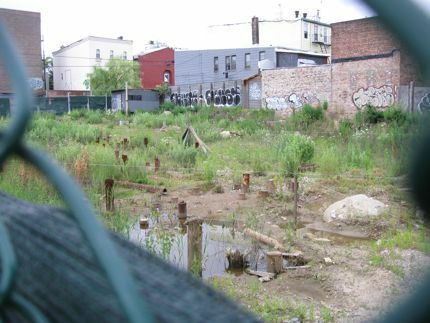 Projects proposed for empty lots are also eligible, though few are expected to qualify because of the considerable amount of subsidy they would require to get off the ground. And given the continued stasis in the financial markets, HARP could be the only opportunity for developers to get projects off the ground. “There’s so much inventory, why would a bank finance any new construction?” said Julien Vernet, Briarwood’s marketing director. Looking back through the past five decades of development in the five boroughs, the Pratt Center for Community Development has played an active role in the issues shaping the city. From RFK’s community development agencies in the 1960s to housing preservation and building reclamation in the 1970s and ‘80s, from community development and job creation initiatives in the 1990s to community rezoning plans over the last decade, the center has been an important influence in the city’s typically top-down planning and land-use policies. Now, as sustainability comes to the fore, the center announced last week that Adam Friedman will take the reins at the center. Friedman, the former director of the New York Industrial Retention Network (NYIRN), has made it his mission to help push sustainability at the community level and to continue the work of integrating the Pratt Institute’s diverse art and design faculty into the center’s work. “That’s why I came, to bring all these resources to bear on the issues,” Friedman said in an interview. “The issues really aren’t that different with NYIRN, but the center can provide so much more support.” For example, Friedman said he would push for more local resources to be used in the school’s industrial design department. “It creates good paying jobs for local manufacturers while also building important understanding and relationships for students,” Friedman added. Gary Hattem, chair of the center’s advisory board, said it is this unique approach to economic development that captured the board’s notice. “I think he can leverage the design capital of the institute with his incredible skills in economic development and sustainability,” Hattem said. 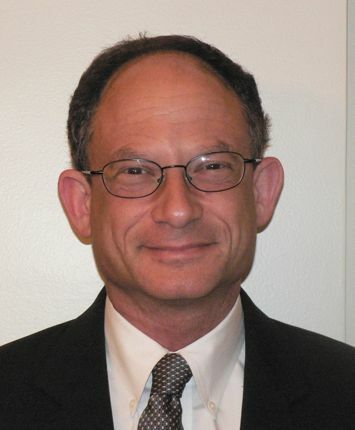 In addition to his work with NYIRN, Friedman served as director of economic development for former Manhattan borough presidents David Dinkins and Ruth Messinger. 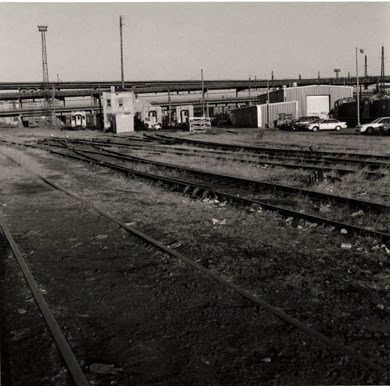 He has also taught urban planning at the Pratt Institute and Columbia University, and in 2005 he convinced the city to create Industrial Business Zones, one of NYIRN's longstanding goals to protect manufacturing businesses in New York. Given the current economic downturn, and the city’s still high cost of living, it is a challenging time for the center, but these challenges underscore the importance of its mission. 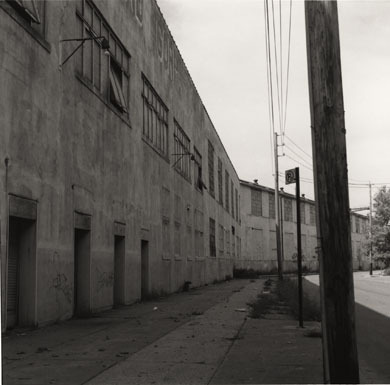 For Friedman, the key to preserving communities is not just about affordable housing and the quality of the urban fabric, but also creating and retaining sustainable jobs. “Part of the challenge is how you make these communities more hospitable for organic economic growth,” Friedman said. That challenge remains to be addressed, but Friedman’s work at his previous job provides a template. 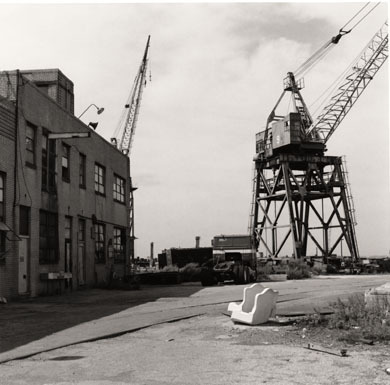 At NYIRN, Friedman and his team fought to protect blue collar work—say, from encroaching hotel development—as well as create new models such as higher-end artisanal manufacturing and sustainable production. 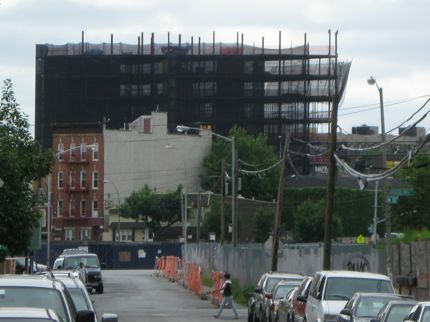 A local community group is trying to transform 23 Caton Place, a half-built property in foreclosure in Kensington, Brooklyn, into affordable housing. 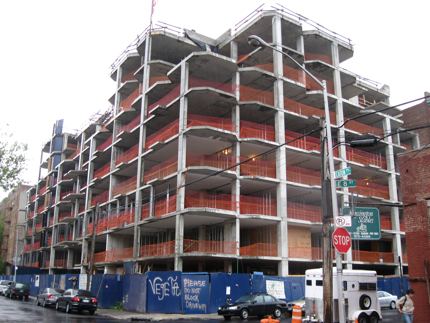 Twenty-three Caton Place is like countless other developments that have sprung up across the five boroughs toward the end of the recent real-estate boom. 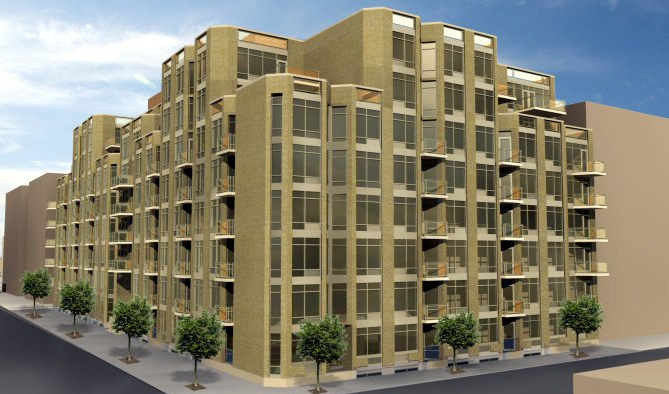 A mix of middlebrow architecture and high-end finishes built in Kensington, Brooklyn, the 107-unit complex was overleveraged and ill-timed. It now languishes half-built and in foreclosure, its developer in bankruptcy and some 140,000 square feet of concrete left looming over the neighborhood. But there is something special about 23 Caton that sets it apart from many of its sullen siblings, something that might also one day bind them all together: a neighborhood community group that had long opposed the project is trying, with the help of local politicians and former Pratt Center director Brad Lander, to buy the property and transform it into affordable housing, arguably the first such effort of its kind in the city. The plan is still in its earliest phases—the first stakeholders meeting was held Tuesday—and could take years to resolve, but its backers are already hopeful that their efforts might serve as a blueprint for the plague of similarly stalled developments sprinkled throughout the city. 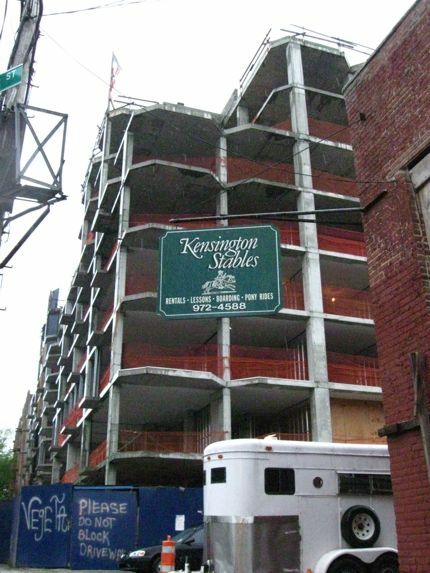 The development is adjacent to the Kensington stables, the last horse stables serving prospect park. Having worked with Lander on a rezoning plan for the neighborhood in response to 23 Caton and two other major luxury developments that cropped up in the low-scale neighborhood, Harris and her group turned to him for advice. The idea is to find a sympathetic developer who will buy the property from its lender, Corus Bank, and redevelop it. Megan Miller, another member of Stable Brooklyn and a practicing architect, said that Corus has already suggested that it would sell if a reasonable offer was made, and that roughly 100 different parties have expressed interest to the bank. (Bank officials did not return calls seeking comment.) The problem is the bankruptcy filing, which began in Connecticut in August of last year. Numerous liens have been placed on the property as a result, and untangling them could take years, greatly slowing the process. “I’m afraid five years from now, it could still be as is,” Miller said. Lander joked that “this is no Chrysler,” referring to the speedy bankruptcy being engineered for the auto manufacturer by the Obama administration. 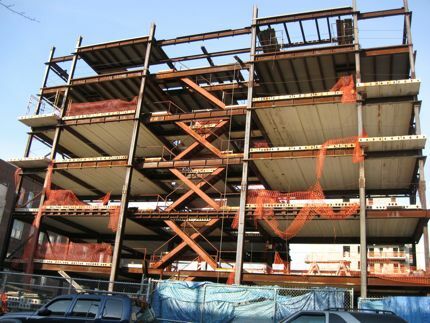 For its part, Community Board 7 has proposed turning the site into a school, because, as district manager Jeremy Laufer put it, "We don't want to see a dormant, half-built building there forever. It's dangerous, an eyesore, and damaging to property valuies." Another challenge, albeit an intriguing one, is presented in the architecture. Despite frequent criticisms that the flood of luxury developments that have hit the city are anything but, there is still a certain formula that pervades, which often calls for balconies, floor-to-ceiling windows, and other architectural amenities that can be difficult to reverse in a building as far along as 23 Caton, which was designed by Karl Fischer Architect. A rendering of the original building, designed by Karl Fischer Architect. "It's not a clean box," Miller said. "It has all these geometries, so it's a bit pre-determined as to what you would end up with." Given that any affordable housing proposal would require these built-in "luxury" features to be "dumbed down," as Miller put it, that could actually increase the cost of the project and make it difficult to create affordable units. Miller was also concerned about the structural stability of the building, though the Department of Buildings recently inspected the site and determined it sound. Given the current economic doldrums, Miller admitted that in the end, many architects might leap at the chance to work on the project. Still, the group is moving ahead with its plans in the event a developer expresses interest. Should that happen, it appears they will be stepping into a favorable political climate. In her State of the City address, Council Speaker Christine Quinn outlined plans similar to those Stable Brooklyn has proposed. A council spokesperson said details are still being worked out, and are largely contingent on the city’s cash-strapped budget, but the idea is to leverage city financing to lower rents in completed buildings that currently lie vacant, as well as to entice builders to finish half-built projects. A spokesperson for the Department of Housing Preservation and Development said the department is considering similar measures, though they are less determined at this point, and lean more toward occupying existing buildings, as that is seen as a more cost-effective approach. Even if comprehensive plans are developed to reclaim these myriad sites—such as tax breaks, special financing, and other incentives—there is not a one-size-fits-all solution, Lander said. He said that because each development has its own set of constraints, its own set of creditors, and its own set of legal proceedings, each would have to be dealt with on a case-by-case basis, a process that could take decades. "The New Housing Marketplace - our Administration's affordable housing initiative, and the most ambitious such effort ever made by an American city. Our ten-year goal is to fund development and preservation of 165,000 homes - enough to house the entire population of Atlanta." [A]s the financial industry hits major turbulence and the city’s once lush climate for development turns dry, the Bloomberg administration is struggling to meet its goals for new construction (currently targeted at 91,637 units) and will likely need to shift the balance more toward preservation (73,395 units).... Although city officials say the original plan emphasized preservation in its early years, the reality of an inclement market has caused reevaluation, and the administration says it will likely need to lower its goals for creating new units, and increase its goals for preserving current ones. There are other factors at play, such as the impact of changes to the 421-a tax program, which, along with inclusionary housing bonuses--like those in many recent rezonings--encourage for-profit developers to include low and moderate income housing in their projects through tax breaks. But still, with the paucity of credit having dragged the city's construction sector to a halt and many predictions of a new recession, what the administration can do to continue to stimulate affordable housing remains an open question. This is especially bad news for out-of-work architects given all the affordable housing work they've had of late. Perhaps the mayor should try giving Secretary Donovan a call. AN had heard from a number sources that Donovan--an outside candidate--had taken a month off in late October and early November to prepare a white paper on affordable housing for the Obama campaign, though HPD did not return numerous calls seeking confirmation on this or his possible nomination. Well, now it's official. If confirmed, Donovan will be returning Washington, where he served as Deputy Assistant Commissioner for Multi-Family Housing in the Clinton Administration. A graduate of Harvard, Donovan has been acclaimed for his work on the mayor's New Housing Marketplace plan, which seeks to create 165,000 affordable units over a decade through construction and preservation. Get acquainted with the appointee's thoughts on housing policy, which AN published after a chat with Donovan last year. Update: Both Posts--that being The New York Post and The Washington Post--are reporting that Bronx Borough President Adolofo Carrión Jr. will serve as Director of Urban Policy for the Obama administration. The Bronx Beep had been also in the running for the HUD position, though whether he has been awarded a greater or lesser prize remains to be seen as the exact mandate of directorship has yet to be laid out by the administration, as we reported. Carrión is less known for his work on land-use issues than his compatriots in Manhattan and Brooklyn--partly a result of the relative levels of development in each borough--though the Baychester-raised Bronxite did receive a masters in planning from Hunter, according to his official biography, followed by stints at the Department of City Planning, Bronx CB5, and local non-profit developer Promesa before he moved to City Council and then the borough presidents office. Politco points out that the number of New Yorkers in Obama's cabinet is beginning to rival the number of Illini there, which hopefully means the Feds will stop ignoring the city as it has in the past.